TLC’s reality show SISTER WIVES returns tonight with its third episode of season five. Tonight’s episode is called, “The Big Decision” and on tonight’s show as the Browns attempt to secure investors for their business, the family learns that a wife’s slip up may have cost them the whole deal. On the last episode, the Browns’ jewelry business was beginning to overwhelm the wives. Robyn wanted to have time for another baby and Meri wanted to go back to school. Needing to hire some employees, they had turned to investors for money. But did their pitch sink or swim? Did you watch last week’s episode? If you missed it we have a full and detailed recap, right here for you. On tonight’s episode as the Browns attempt to secure investors for their business, the family learns that a wife’s slip up may have cost them the whole deal. Later, Meri heads to Utah and catches up with a childhood friend. And Janelle continues her weight loss journey. We will be covering Sister Wives tonight at 9 PM EST so don’t forget to come back to this site for our full and detailed recap. Make sure to refresh often to get the most recent details. 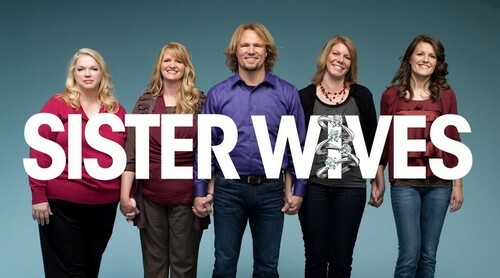 While you wait for the recap, let us know how excited you are about the new season of Sister Wives. RECAP: The Browns family finally got their call back. Their investor friend sent up a meeting to discuss the possibly outcome of their pitch from last week and everyone is on edge. Meanwhile Meri is going back home. She’s visiting Utah to see some old friends of hers and seeing as she’s already there she thought to check in on her daughter Mariah and she also gets to see her sister for a visit. Her sister, Rebecca, and her family moved into the Browns family old home to help oversee the place when the rest of family was forced to move. And because there was a recent flooding in the area – it was Meri’s job to assess the damage. According to Rebecca, the flooding was so bad that all of basement resembled a puddle and even now that the water has rescinded there’s still is water damage left-over. Meri was so worried about it that she called in contractors to help fix up the area. It was vital that the house returned to a livable condition. Especially as Kody has been thinking about selling the place and with the care it requires this latest incident might finally push him into making a decision. After Meri handled the house she then went to visit her old friend Sue Ellen. They used to grow up together before her family moved away and yet when they saw each other again it was like no time had pass. Sue had never judged her family for being polygamist then and she still didn’t do that now. She’s firmly of the opinion to each their own and that’s what made her such a good friend to Meri. And in a lot of cases it wasn’t always like that. Growing up, Meri had to live through her father excommunication from the fundamental church and each of the wives that lived through a polygamous upbringing were forced to grow up with a sense of shame and secrecy. Christine in particular remembers being told that she could never reveal her father had a second wife. If she did then the law would take him away from her family. Things are much different now with their kids though. The older ones remember the secrecy. Like pretending their siblings were friends from the neighborhood, but the younger ones won’t have that problem. They will have been raised to never have to lie for their family and their parents are thankful for that. As for their meeting with the investors, they learned that they made quite a few mistakes in their original meeting. Christine used the dreaded words of “lazy” and “complacent”. She had said those at the time so that the investors knew they didn’t just want a handout but with the words stuck out for all the wrong reasons. Many were worried about giving them an investment. Which is why when they did agree to hand something over – it was done with conditions. In six to eight weeks they’ll been given a portion of the money they asked for. And after a review of their work and more importantly an account of how the money was spent has been completed – they could either get the rest of the money they asked for or the investors could take the business away from the family. Thereby sending the Browns into debt! The investment could ended up breaking them!